fairandfunky is a community interest company with the mission statement: empowering people to take little steps to change the world. 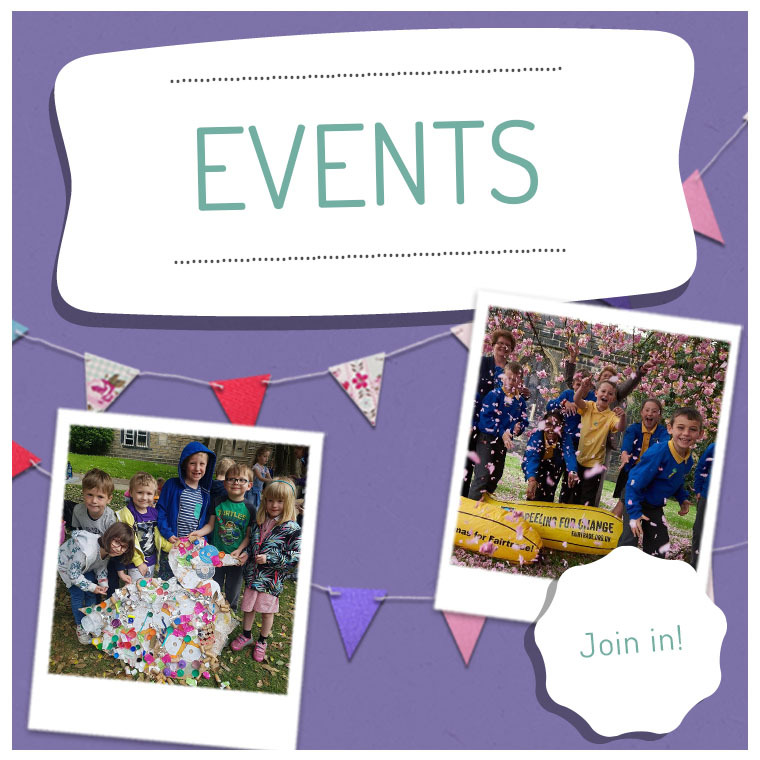 fairandfunky deliver interactive and creative workshops to schools and community groups, run events, host SCRAPtastic community workshops and are the go-to organisation for local and global sustainability education in Yorkshire. We believe that as individuals we each have the power to make a positive difference in the world; through the way we act, what we wear, where we shop and what we do. fairandfunky enables people to make positive choices empowering people to take their own little steps to change the world. 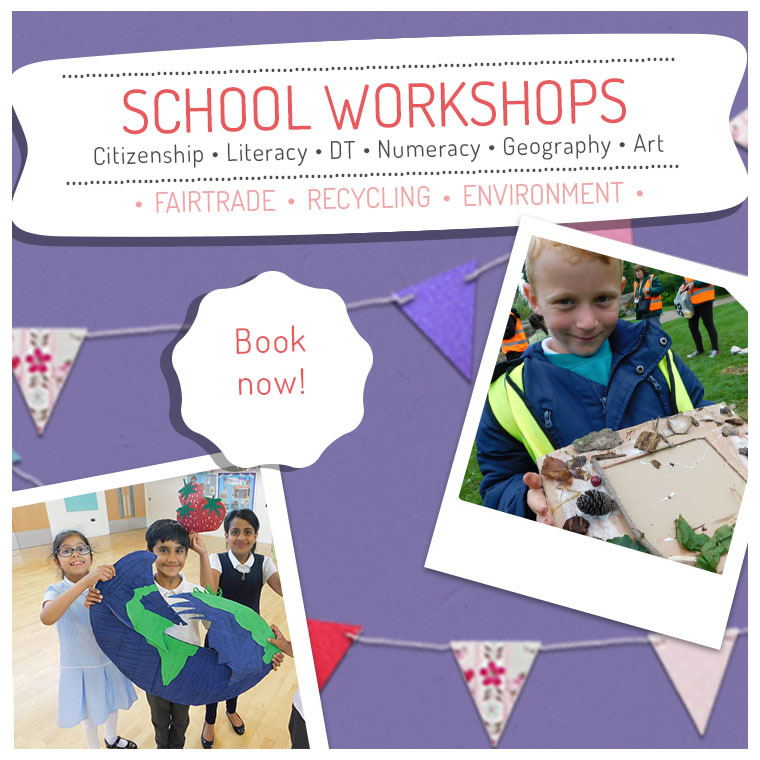 fairandfunky deliver interactive and creative workshops on 3 key global themes: recycling, the environment and Fairtrade; to schools. The workshops are differentiated to suit either KS1 or KS2 and educate children on the issues presented by these 3 key global themes, linking to the National Curriculum. The workshops range from creative arts to debates; from roleplay to junk modelling with a difference. All teach knowledge and understanding within social, moral, spiritual and cultural frameworks, empowering students to take their own little steps to change the world. The workshops enhance curriculum subjects and add value to enrichment during a specialised week (Fairtrade Fortnight, Waste Week, World Environment Day). 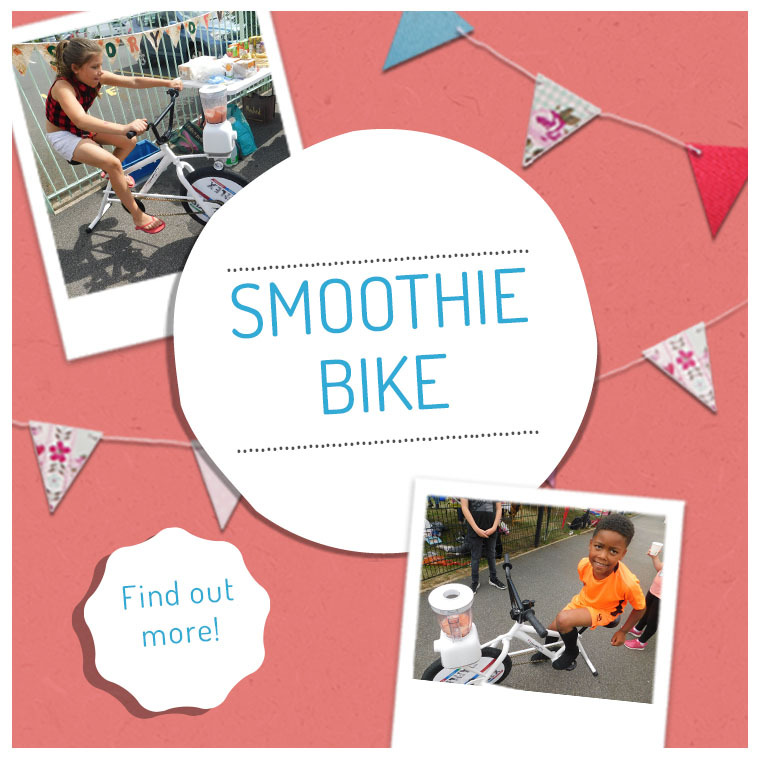 fairandfunky are happy to work with your school to develop a bespoke package. For information on the range of workshops please click here! fairandfunky host Conferences for Primary School students and for Secondary School students during Fairtrade Fortnight and to coincide with World Environment Day in June. These bring schools together from across Yorkshire to ignite enthusiasm and interest in both pupils and teachers for local and global sustainability. Working alongside leading workshop providers and business leaders from the ethical sector, fairandfunky facilitate interactive sessions through drama, debate, arts and presentations, providing plenty of food for thought and steps to change the world. To book on the next School Conference please click here! fairandfunky work with a number of community organisations to deliver unique SCRAPtastic workshops. All SCRAPtastic workshops only use recycled materials and engage participants with local and global sustainability issues. Previous clients include: Holmfirth Arts Festival, Kirklees Markets, Fairtrade Yorkshire, The Co-operative Group, Huddersfield Food and Drink Festival, The Fairtrade Foundation and Huddersfield Art Gallery. 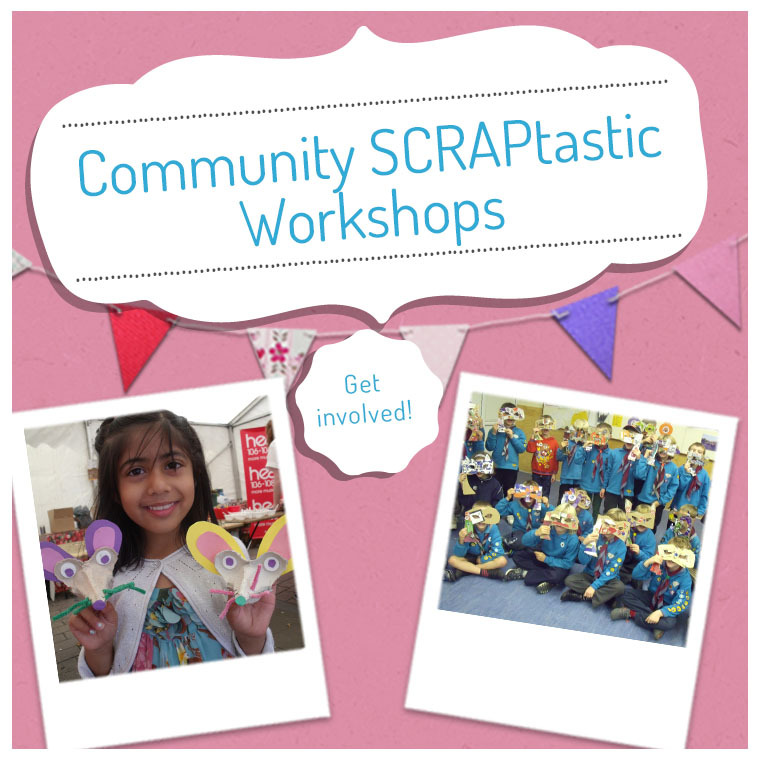 For details on current SCRAPtastic workshops please click here! fairandfunky regularly host events on the global themes of Fairtrade, recycling and the environment; and work closely with partner organisations to bring local and global sustainability issues to the attention of local communities. To find out what fairandfunky is up to next, please click here! 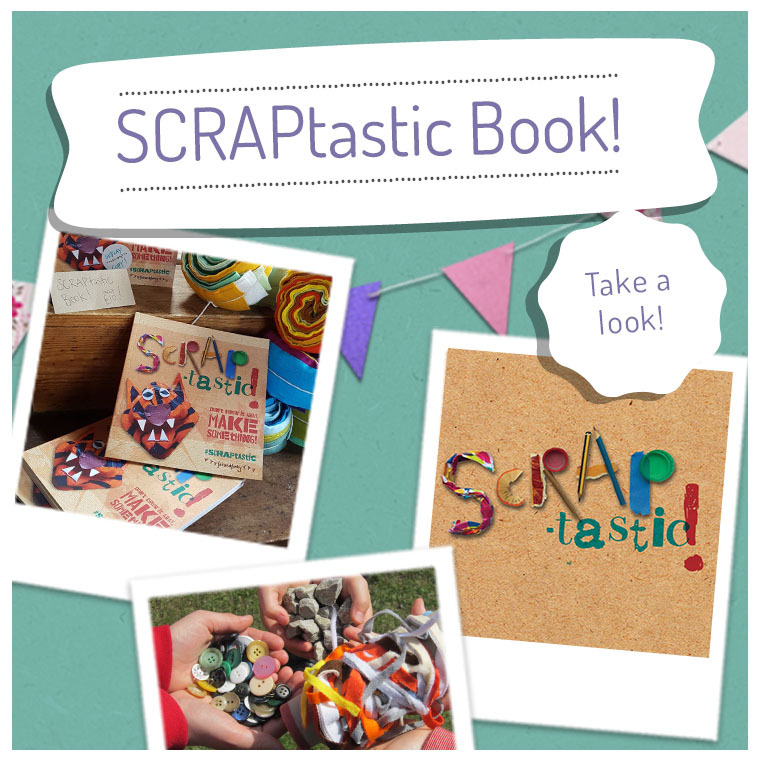 fairandfunky sell SCRAPtastic Book and SCRAPtastic craft kits for schools, community groups and individuals. fairandfunky also have a small range of Fairtrade products to link with the range of fairandfunky Fairtrade workshops. Resources for teachers are being developed and will be available to download early 2019. 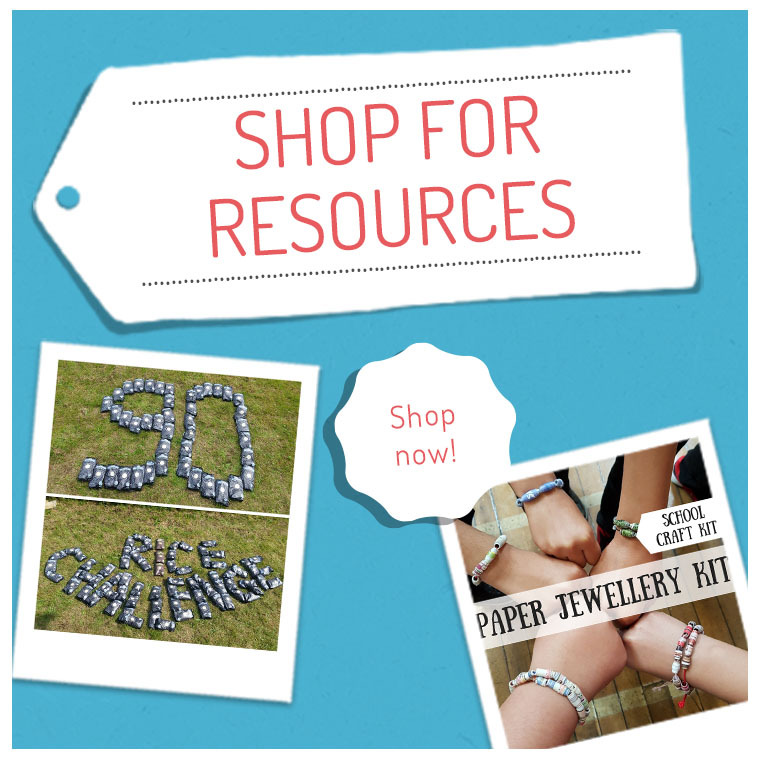 To buy your copy of SCRAPtastic Book or a Fairtrade football please click here! fairandfunky CIC was established in May 2012 by Helen Robinson and Sophie Bebb. Helen Robinson is an experienced primary teacher having worked across Kirklees and with VSO in Kenya. Sophie is a qualified artist with experience in leading community workshops, as well as working with the Oxfam Youth Board. fairandfunky is a community interest company as we are more than just an ordinary business. Our profits are reinvested into the company to deliver workshops for free to community groups, develop a fairandfunky festival and eventually train and employ local people.